If your first thought upon seeing the title of this post is, “I never alter my clothes,” you’re not alone. With the exception of having their pants hemmed or getting wedding or formal wear tailored, most people do not alter their clothing. In this post, I present an overview of the incredible power of alterations to help you look more stylish and polished, as well as slimmer and more attractive. It’s amazing how some simple and often inexpensive tailoring can take garments from so-so to fabulous. Most people expect clothing to fit them perfectly off the rack. If that doesn’t end up being the case, they tend to blame their bodies and think something is wrong with the way they are shaped. In truth, it is extremely difficult for clothing designers and manufacturers to create clothing for all of the many body shapes and sizes which are out there. In fact, it’s next to impossible. There are just too many possibilities and permutations! Celebrities Tailor ALL of their Clothes! Now you may look at celebrities in their impeccably fitting clothing, even jeans and t-shirts, and think that if you were shaped like them, your clothes would fit you like a glove. But what you don’t know is that many celebrities have each and every thing they own tailored, right down to their tank tops, khakis, and shorts. I have this on good authority from Clinton Kelly of “What Not to Wear” fame. No, I didn’t speak with him personally, but it’s splashed all throughout the Internet, including in this article. I discovered the power of alterations myself about seven years ago and I have been an “alterations junkie” ever since! My clothes are now tailored to showcase my figure’s strong suits and skim right over those parts I don’t love as much. Please believe me when I tell you that a tailor can help you to love your wardrobe more and feel even more amazing in what you wear. Here is a list of alterations that I have personally had done to my clothes over the years or have seen done to other people’s clothing (if you are in the Point Loma area of San Diego, check out Tiffany’s Alterations – I swear by her excellent work and reasonable prices!). The list above is just a sampling of the magic that can be worked by a talented and qualified tailor. There are many other options at your disposal! It never hurts to ask if something can be done to improve the fit and functionality of a garment. Often, clothing items that might otherwise be tossed aside or donated can be revitalized and given new life with a visit to your local tailor. Of course, you’ll have to decide if the alteration is worth the cost to you. I have to admit that I’ve had occasions of “throwing good money after bad” by altering garments I probably should have let go. But more often than not, my alterations have been of great benefit. I hope this post has helped to open your eyes to the power of alterations. At the very least, I hope you’ll at least consider the possibility of tailoring your clothes moving forward. 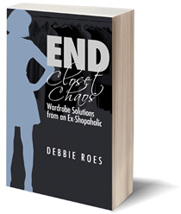 It really can make a tremendous difference and help to amp up your style! Ooooh, I have an alterations story! When my wife and I got married, she bought a wedding dress off a website sight-unseen. She’d tried on a particular size in the store, and she was absolutely swimming in it. As is typical of wedding dress shops, they were completely unwilling to bring in a size smaller so she could try it on, their proposed solution being their very expensive (even by other tailors’ standards) in-house alterations service. So she left. She found the exact same dress in a slightly smaller size online on a great clearance sale, and ordered it. Of course as luck would have it it was a bit too small. We got a local seamstress to look at it, and she did absolute magic with that dress. She took apart the side seams and added some additional panels, took in a few other spots, let out a couple more, and even shortened the whole dress a bit. All said and done, the dress my wife tried on at the store would’ve been $200 or so, plus well over $100 in alterations to size it down. Purchasing the dress on a closeout + work by a skilled seamstress was about $200 total. Total savings? Over $100. Thanks for your comment. I love your alterations story! Your wife’s experience is a true testament to the power of alterations. It sounds like you found a great tailor and I’m sure the dress looked beautiful. It is true that a talented seamstress can save you money. I always take my alterations to my local tailor instead of using in-house store services. It costs less, the garments are tailored to fit me like a glove, and my clothes look more expensive because they are impeccably tailored. Stay tuned for some personal examples of how alterations have transformed my wardrobe… Thank you again for sharing your story. I have always had everything I buy altered to fit perfectly and yes- it is the “secret weapon” for anyone who wants to look put together. I know many coworkers ,etc who complain that they shouldn’t have to pay more money for something new but they fail to realize that when deciding to make a purchase, the cost of the item needs to include the tailoring to make it right.. I think important here is for people to realize that when they are decided to part with the money for a new article of clothing, they need to not only look at the money they are paying for the item (and that includes less expensive things like Old Navy khakis or tops, items marked down and so are a good buy if you need them,etc) but to factor in alteration costs as well. Perhaps when that is done, the impulse buys maybe just that much less tempting for people than if they thought they were only going to part with a twenty and have a new item to wear. Abgurl, Thanks so much for your comment! You raised some excellent points which complement my article quite well. I know that when I shop with clients, I always talk to them about alterations, but often people are reluctant to spent $10 to tailor a garment that only cost $20. They seem to think that other than hemming pants, tailoring is something reserved for suits and formal wear. Not so, and your friend’s example is a perfect illustration of that! Like your friend, I have broad shoulders and have to have the sides taken in on most of my tops and jackets. Factoring the alterations price into the price of a garment is a good way to look at the true cost of our clothes. If that gives people pause re: buying “fast fashion,” that’s a good thing! Quality over quantity is a great motto to have! 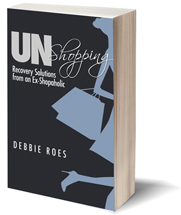 Debbie Roes is the author of the books, “UnShopping” and “End Closet Chaos.” She is also the creator of the popular “Recovering Shopaholic” blog and the follow-on blog, “Full Life Reflections.” She provides freelance ghostwriting and copyediting services on a variety of topics, including business, marketing, technology, finance, productivity, personal development, health, wardrobe management, shopping, and personal style. She holds a Master’s Degree in Psychology and is a certified professional life coach.